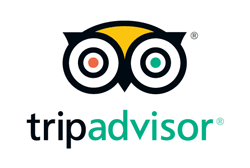 You are here: Home / News / family & friends / Diamond couple! 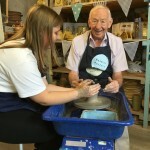 We really enjoyed working with Ian and his parents who were celebrating their 60th wedding anniversary by taking a spin on the potter’s wheel. 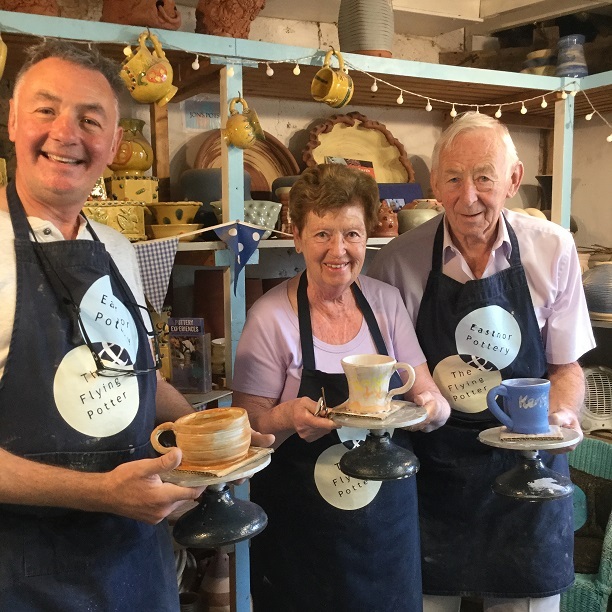 The trio’s positive outlook and good humour made for a brilliant, creative shared experience and a workshop session we’ll look back on with fondness. 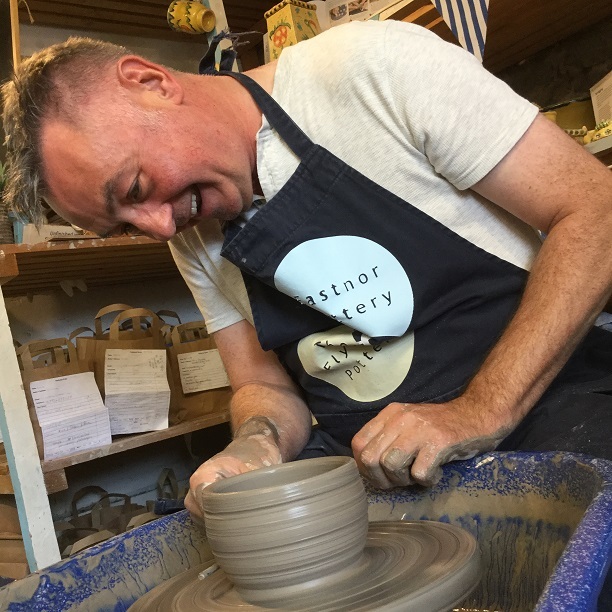 If you’ve got something amazing to celebrate, then why not mark the occasion by making a piece of pottery. 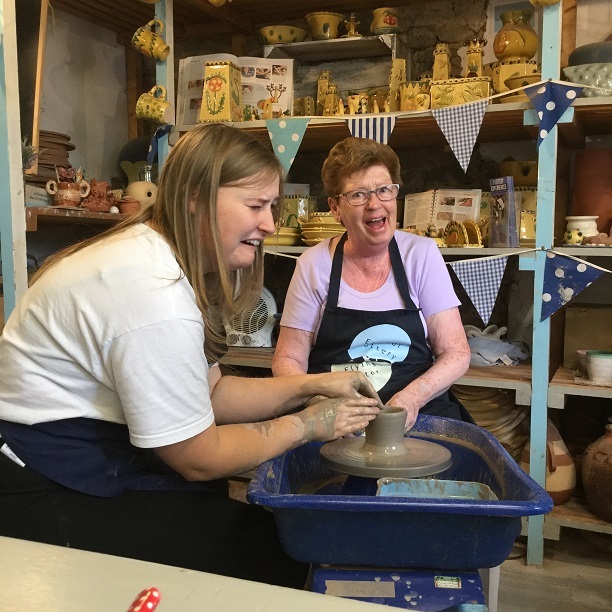 We have options for large groups and smaller gatherings and plenty of inspirational makes, including collaborative pieces where everybody contributes to a single thrown pot. http://eastnorpottery.co.uk/wp-content/uploads/2019/03/eastnor_pottery_header_2019-3.png 0 0 admin http://eastnorpottery.co.uk/wp-content/uploads/2019/03/eastnor_pottery_header_2019-3.png admin2018-12-12 14:54:522019-03-17 14:55:51Diamond couple!